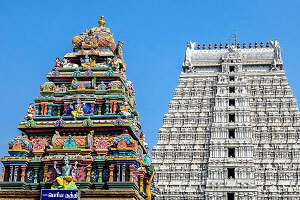 South India Tours and Travels welcomes you to explore the divine temples of Tamil Nadu and relax journey to Kerala. Your tour starts in the Capital City of Tamil Nadu called Chennai. Then have a drive drive to experience the UNESCO World heritage sites at Mahabalipuram. Continue your journey to the French Colony City - Pondicherry. The majestic temples in Thanjavur and Trichy draws the attention of the pilgrims and voyagers all over the world. Have a village visit in Chennai. Then continue your drive to the Heritage City - Madurai. 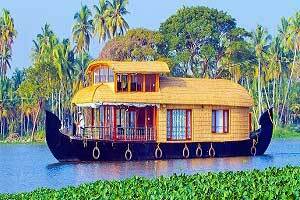 Its the time for you to enter to the God's Own Country - Kerala. 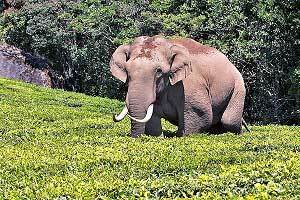 Have an adventure trip and spice plantation tour in Thekkady. Fascinate yourself with the stay in House Boat in Alapuzzha. Your Tamil Nadu and Kerala Tour ends after the city tour in Cochin. Start your day to enjoy the Heritage Tour in Tanjore. Call it Thanjavur, Tanjore or colloquially the 'Rice Bowl of Tamil Nadu' a name it gets for being one of the county's largest producers of rice, the ancient capital of the Chola Dynasty is full of aesthetic beauty. 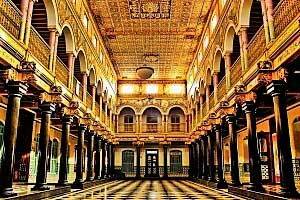 After the breakfast, visit the famous Thanjavur Art Gallery which houses the collection of sculptures and statues, Saraswati Mahal Library Museum, Brihadeeswara Temple also known as Big Temple which is one of the World Heritage Monuments built by the chola dynasty in the 10th century. Have a short drive to Trichy. This day you will be ended up with Tamil Nadu and Kerala Tour Memories. You will be transferred to Cochin International Airport, Kochi as per your flight schedule back to home!